The area of North Texas sits at the low end of Tornado Alley; therefore, it is known to get many severe thunderstorms, high winds, hail, and some tornadoes every year. High winds and hail can do a lot of damage to a roof. 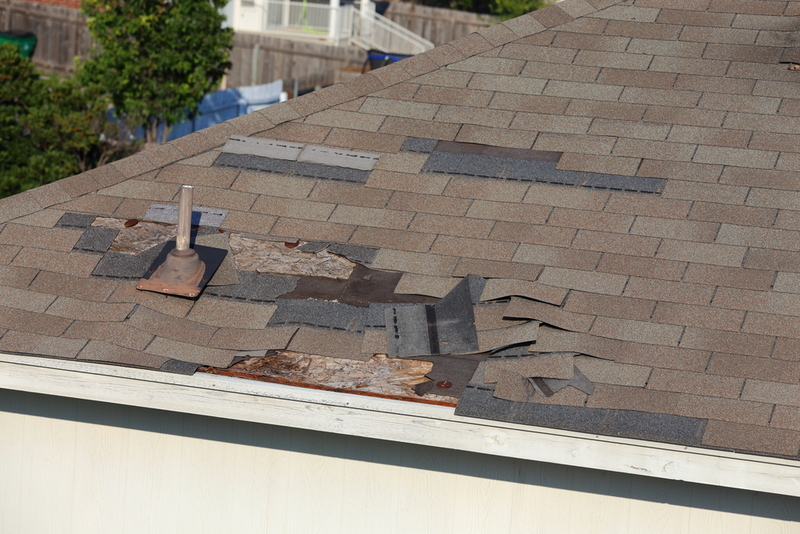 After a strong storm, there are a few things that should be done to be sure you do not have roof damage. What Kind of Roof Damage Can Wind or Hail Cause? Wind and hail can cause different types of damage. Hail causes impact damage to roofs, and the bigger the hail, the more likely the roof will have damage. Hail damage has a random pattern, causing holes, loss of granulation, cracks and breaks in tile, slate or wood roof — and the older the roof, the more likely there will be damage. Wind damage is different. Wind will pick up the corners or perimeters of the roof, exposing the roofing felt or roof decking to rain. Sometimes it will occur throughout a storm or a little at a time, storm after storm until you notice with a leak or it blows completely off the roof. The other risk during high winds is flying debris and tree branches. Glass, sticks, etc., can blow across your roof causing scratches and gouges in the roof that may need to be repaired. Tree branches that fall onto your roof can puncture the roofing materials, or worse, the whole roof. It is best to take care of roof damage immediately as it occurs. A roof repair is much less expensive than a roof replacement. It’s a good idea to take a look at your roof after a strong storm to see if you spot any issues. It usually is not recommended that you get onto your roof; leave that to the professionals. Also, keep an eye on your energy costs. If you notice your cooling or heating costs increasing after a strong storm, it could mean than your heating or cooling is escaping through your roof. How About a Professional Roof Inspection? This process is what makes Broadway Roofing a leader in the roofing business in North Texas. If you suspect storm damage to your roof, contact Broadway Roofing for your roof inspection.